Nicholas & Robyn won the wedding of their dreams after being selected as the Horsley Lodge Competition Winners through Bespoke Weddings, their prize included Venue Hire, and a Food & Drinks Package! After being selected to win the Venue Hire at Horsley Lodge as part of Round One of the Bespoke Competition Nicholas & Robyn were required to write about how they met or their proposal for the chance to win further prizes! September 2014 we both walked onto a wet, cold muddy field, Nick as the Masculine Rugby Player and Robyn as the newly appointed Rugby Team Physio. We spent weeks meeting up in secret, hiding it from everyone until the typical ‘Rugby Changing Room Banter’ got abit too much for nick to hear and he let the cat out of the bag. Nick knew from the day he met Robyn she was ‘The One’ for him and he wasn’t going to stop until he got what he wanted and that’s exactly what he did. The judges loved the couples story and they were later selected to win a Food & Drink Package through Round Two of the Bespoke Competition!! 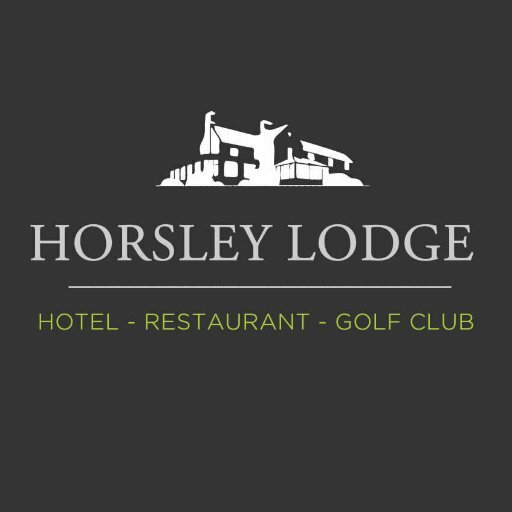 Horsley Lodge is a proprietary golf club, hotel and restaurant owned by brothers Richard and Malcolm Salt. The familys’ pride in their product, developed over 26 years, ensures a continued investment into all the facilities, where ensuring the customer’s satisfaction is their primary aim. The brother’s grandfather, Harold W. Salt, pioneered the creation of Mickelover Golf Club in 1924, and it was their father John H. Salt whose original idea of creating a course at Horsley some sixty five years later, enabled the brothers to become pioneers of their own in the construction of the course at Horsley during the late 80’s, along with help from sister Fiona in the clubs formative years. 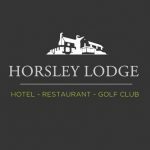 Horsley Lodge is a privately owned country house offering you exceptional facilities as a venue for your wedding. The dramatic setting, amazing views and magnificent banqueting suite make it a wonderful location for celebrations and civil ceremonies. For your chance to WIN the wedding of your dreams like Nicholas & Robyn did, click on the link above to enter our latest Bespoke Win a Wedding Competitions.